Most of us would love to come across the true fountain of youth, but sadly age does catch up with us. Enjoy the feeling of younger looking skin with the new Bremenn Botanicals Anti-Aging Black Tea Skin-Care line. The new line is made up of facial, neck, and eye cream and a full 10 minute mask. Forget spending a good chunk of change on a spa when you can bring it to your own home. I can see the difference the Black Tea Skin Care, Age Defying Eye Concentrate has done to my eyes, which because they look younger and not worn out, I feel better about myself which shows when I am out in public. 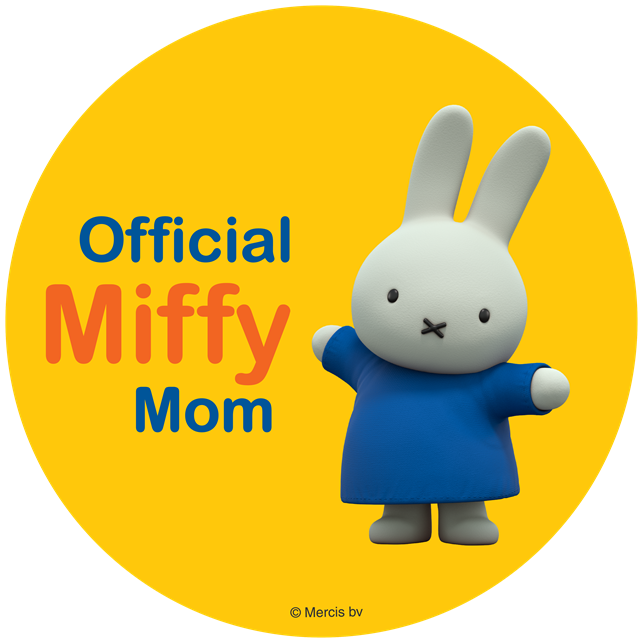 Here are some details about the whole new line. You can purchase all on Amazon (links attached in heading) you can also view all of Bremenn Botanicals here. YOU NO LONGER HAVE TO SETTLE FOR AGING SKIN! Advancements in anti-aging cosmetics have been remarkable. The products you’re using today are more sophisticated than anything you could have picked up at a dermatologist’s office just a few years ago. Now, with the emphasis on botanical-based skin care solutions comes an exciting new line of anti-aging, anti-wrinkle, skin restoring formulations from the Boutique cosmetics manufacturer Bremenn Botanicals. WHY BLACK TEA? Since ancient times, black tea has been prized for its many health benefits. Made from the leaves of the Camellia sinensis plant, black tea is known for its rich antioxidant and rejuvenating properties. That’s why ALL of our black tea products offer potent antioxidant properties to KEEP SKIN LOOKING BEAUTIFUL AND LESS SUSCEPTIBLE TO THE VISIBLY DAMAGING EFFECTS OF FREE RADICALS. Free radicals are those destructive molecules we’ve all heard about that shatter skin cells, weaken skin’s sub-structure, and are one of the primary causes of wrinkled, photo-aged skin. That’s why we chose Black Tea, with its powerful anti-oxidant properties, as the basis for our new product line. WHAT MAKES US UNIQUE? With our Skin Perfecting Facial Cream, you get all the benefits of rich black tea and a unique complex of marine glycans. They combine to form one of the most powerful skin perfecting formulas on the market. In addition to its potent antioxidant properties, this formula REDUCES THE APPEARANCE WRINKLES, VISIBLY TIGHTENS THE SKIN AND REDUCES SAGGING, SUPPORTS SKIN FIRMNESS AND CLARITY, IMPROVES MOISTURE FOR A NOTICEABLY SMOOTHER COMPLEXION, AND EVEN IMPROVES EPIDERMAL RENEWAL FOR MORE YOUTHFUL-LOOKING SKIN. WHAT CAN AGE YOU EVEN MORE THAN CROW’S FEET AND FOREHEAD WRINKLES? A SAGGING “TURKEY” NECK! But now you can fight back against sagging neck skin thanks to remarkable advancements in anti-aging cosmetics. The products you’re using today are more sophisticated than anything you could have picked up at a dermatologist’s office just a few years ago. Now, with the emphasis on botanical-based skin care solutions comes an exciting new line of anti-aging, anti-wrinkle, skin restoring formulations from the Boutique cosmetics manufacturer Bremenn Botanicals. WHY BLACK TEA? Since ancient times, black tea has been prized for its many health benefits. Made from the leaves of the Camellia sinensis plant, black tea is known for its rich antioxidant and rejuvenating properties. That’s why ALL of our black tea products offer potent antioxidant properties to KEEP SKIN LOOKING BEAUTIFUL AND LESS SUSCEPTIBLE TO THE VISIBLY DAMAGING EFFECTS OF FREE RADICALS. Free radicals are those destructive molecules we’ve all heard about that shatter skin cells, weaken skin’s sub-structure, and are one of the primary causes of wrinkled, photo-aged skin. That’s why we chose Black Tea, with its powerful anti-oxidant properties, as the basis for our new product line. WHAT MAKES US UNIQUE? 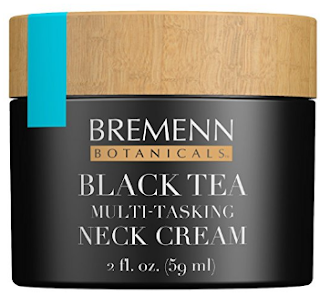 With our Multi-Tasking Neck Cream, you get all the benefits of rich black tea, sweet almond proteins, and vitamin E for the ultimate multifunctional neck cream. That means your skin benefits from potent antioxidant properties and unique botanical blends that help NOTICEABLY LIFT, TIGHTEN, AND TONE SAGGY NECK SKIN, VISIBLY SMOOTH A “CREPEY” DÉCOLLETÉ that can add years to your appearance, INCREASE ELASTICITY, and help OFFSET THE VISIBLE EFFECTS OF AGING AND SUN DAMAGE. You’ll love your smoother, softer, more radiant skin! PAMPER YOURSELF WITH THE ULTIMATE COOLING, SOOTHING FACIAL MASK! Why wait for a day at the spa? 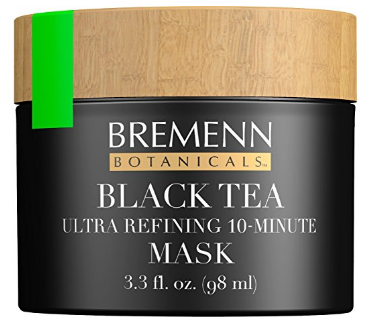 Pamper yourself at home with our Black Tea Ultra Refining 10-Minute Mask! Advancements in anti-aging cosmetics have been remarkable. The products you’re using today are more sophisticated than anything you could have picked up at a dermatologist’s office just a few years ago. 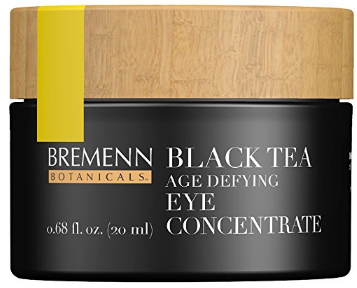 Now, with the emphasis on botanical-based skin care solutions comes an exciting new line of anti-aging, anti-wrinkle, skin restoring formulations from the Boutique cosmetics manufacturer Bremenn Botanicals. WHY BLACK TEA? Since ancient times, black tea has been prized for its many health benefits. Made from the leaves of the Camellia sinensis plant, black tea is known for its rich antioxidant and rejuvenating properties. That’s why ALL of our black tea products offer potent antioxidant properties to KEEP SKIN LOOKING BEAUTIFUL AND LESS SUSCEPTIBLE TO THE VISIBLY DAMAGING EFFECTS OF FREE RADICALS. Free radicals are those destructive molecules we’ve all heard about that shatter skin cells, weaken skin’s sub-structure, and are one of the primary causes of wrinkled, photo-aged skin. That’s why we chose Black Tea, with its powerful anti-oxidant properties, as the basis for our new product line. WHAT MAKES US UNIQUE? 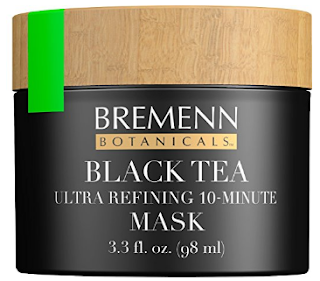 Our Black Tea Ultra Refining 10-Minute Mask starts pampering you as soon as you apply it. With its specialized cooling ingredient, YOUR SKIN WILL FEEL SOOTHED AND CALMED, and you get all the benefits of black tea’s POTENT ANTIOXIDANT PROPERTIES, as well as antioxidants from pine bark extract. Plus we’ve included a compound from a type of unicellular algae that has learned to thrive in harsh, ever-changing environments by developing an amazing ability to hold on to water. We’ve harnessed its hydrating ability to give you INCREDIBLE MOISTURIZING RESULTS. TIRED OF DARK UNDER EYE CIRCLES AND CROW’S FEET THAT AGE YOU? Stop settling for moisturizers that don’t pamper the delicate skin around your eyes. Thanks to remarkable advancements in anti-aging cosmetics, you can find products today that are more sophisticated than anything you could have picked up at a dermatologist’s office just a few years ago. 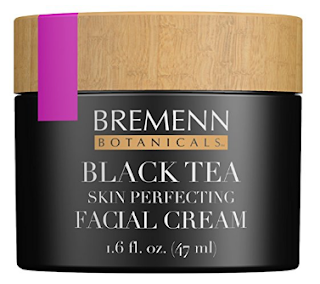 Now, with the emphasis on botanical-based skin care solutions comes an exciting new line of anti-aging, anti-wrinkle, skin restoring formulations from the Boutique cosmetics manufacturer Bremenn Botanicals. WHY BLACK TEA? Since ancient times, black tea has been prized for its many health benefits. Made from the leaves of the Camellia sinensis plant, black tea is known for its rich antioxidant and rejuvenating properties. That’s why ALL of our black tea products offer potent antioxidant properties to KEEP SKIN LOOKING BEAUTIFUL AND LESS SUSCEPTIBLE TO THE VISIBLY DAMAGING EFFECTS OF FREE RADICALS. Free radicals are those destructive molecules we’ve all heard about that shatter skin cells, weaken skin’s sub-structure, and are one of the primary causes of wrinkled, photo-aged skin. That’s why we chose Black Tea, with its powerful anti-oxidant properties, as the basis for our new product line. WHAT MAKES US UNIQUE? With our Age Defying Eye Concentrate, you get all the benefits of rich black tea along with our proprietary blend of Albizia julibrissin and Siegesbeckia orientalis. Together, this unique combination makes for a highly effective, yet perfectly gentle, total-eye concentrate. In addition to its potent antioxidant properties, this formula REDUCES THE APPEARANCE OF CROW’S FEET AND EYELID FOLDS, VISIBLY IMPROVES DARK UNDER-EYE CIRCLES, MOISTURIZES AND FIRMS THE SKIN AROUND THE EYES, AND LEAVES THE DELICATE SKIN AROUND THE EYE LOOKING LESS TIRED AND BRIGHTER FOR A NOTICEABLY YOUNGER APPEARANCE.